People ask me about the tourist attraction in Guwahati and I have a simple answer…. 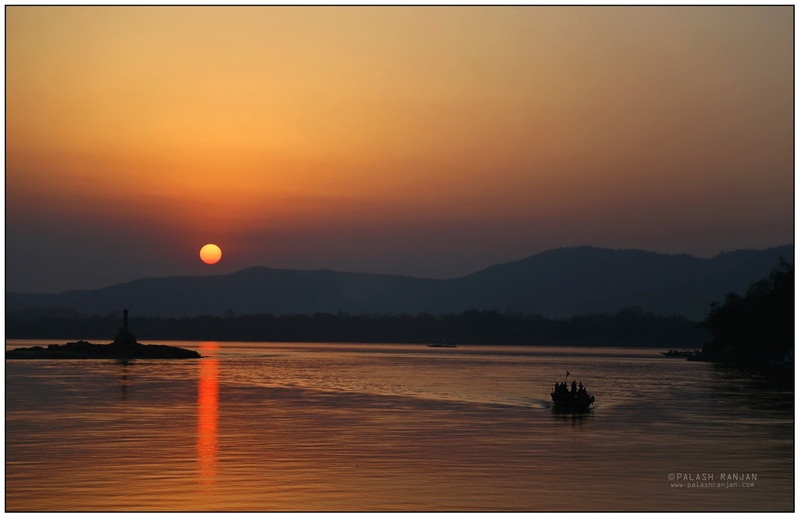 chase the Sunset over the river Brahmaputra. If you love watching sunset then this is the place. Its one of the magical one i’d ever witnessed. There are many places along the bank but this one place, from where one can take ferry to Uma Nanda (World’s smallest Inhabited river island), is my favourite spot. Either you can take a ferry to the island and watch the sunset from there or just be on the city side and watch the sunset over the backdrop of the island. Be aware in Assam the Sunset is usually one hour earlier than what we witness in Delhi or western part of the country. P.S: This picture was taken from the city side of the river. You can see people in ferry coming back from the island. The island itself is visible partially on the extreme right hand side. LIVING ROOT BRIDGE - MEGHALAYA !